Mycotoxins in Feedstuffs handbook from C.H.I.P.S. Mycotoxins in Feedstuffs provides an overview of mycotoxins in feedstuff and ingredients. 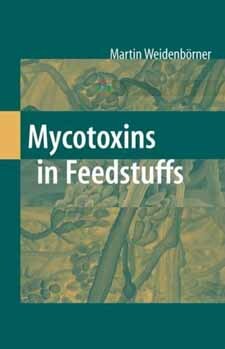 Besides this information, the book shows whether a feedstuff/ingredient is predisposed for a mycotoxin contamination (number of mycotoxins as well as number of citations concerning one feedstuff). The feeds and/or ingredients are listed in alphabetical order.